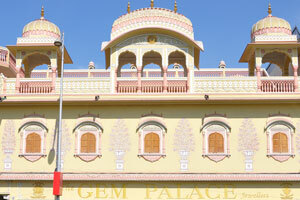 This part of the site is a tribute to the beautiful city of Jaipur and proposes to introduce the visitor to the city's fascinating inner areas. It is a city that never ceases to amaze. Consider this - today we have our planning departments equipped to take on the most complicated designing projects. We plan housing colonies and industrial areas, the best of technical know-how is available and our designers have access to the latest computers. And what have we created? 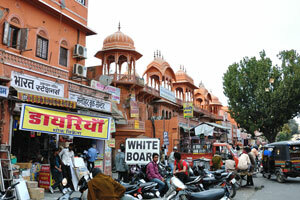 Is there anything even half as impressive as the city of Jaipur? 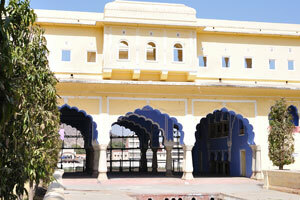 What did Sawai Jai Singh have in the early eighteenth century except a vision? Yet, he designed a city so perfect, so beautiful, the likes of which cannot be found the world over. Not a single aspect of designing has been overlooked here, from the uniformity of the shops to the length and breadth of the streets. Houses were placed strategically so that the hot summer sun was blocked out, yet they received adequate sunlight and air. Proper sewage lines were laid and the wells ensured that no house went without its share of water. 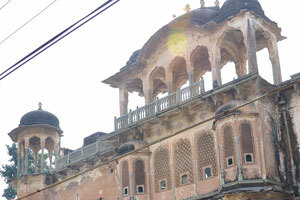 One does wonder how Sawai Jai Singh could visualise, in the eighteenth century, the needs of the city. It was the genius of the ruler that not only did he design a perfect city but he also made provisions for its future expansion. 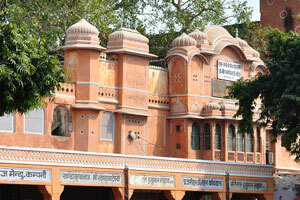 What kind of instructions must he have given to his planner Vidyadhar Bhattacharya? 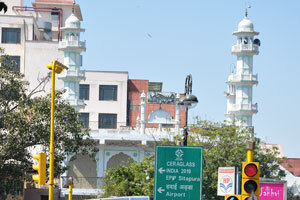 How did he explain the different mohallas, the chaupars where the general public could relax, the temples that were placed just outside the lanes and the sections that were demarcated for different communities? 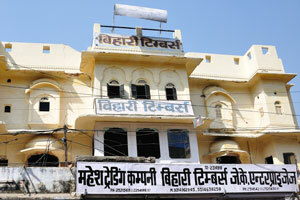 And how did Vidyadhar Bhattacharya manage to follow the guidelines and execute them so perfectly? 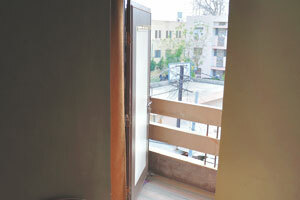 Not a lane, not a house, not a wall is out of proportion. Did those visionaries know that they were giving shape to a city that would become a marvel in town planning and that the most experienced of architects would visit the city to try and learn something from it? 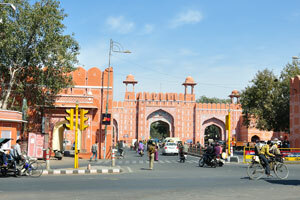 The streets with their treasures of scalloped arches, dainty pillared cupolas make Jaipur, with its enclosing wall and seven gates, a tourist's delight. 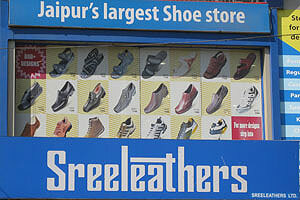 These walks have been planned in a way that they allow you to get a glimpse into the enchanting city and its charmingly chaotic life but they are by no means comprehensive. 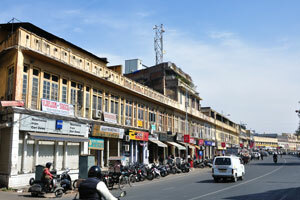 Every lane in the walled city has something interesting to offer and these walks take you into most of the city's important blocks or chowkris from Chowkri Topkhana Desh to Chokri Ramchandraji. 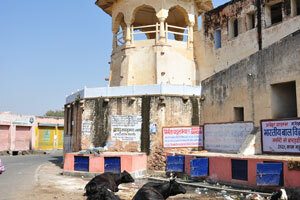 Sadly though, most of the temples mentioned are being partly reused as schools, colleges and shops. 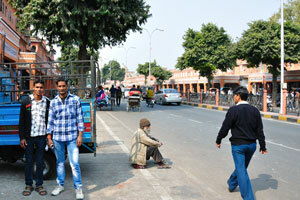 Availability of public transport has been kept in mind and care has also been taken to keep to the main streets. 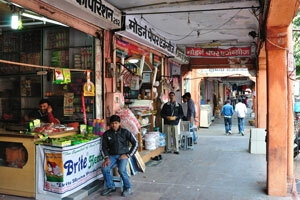 Though it is perfectly safe to go into the by-lanes, it is advisable not to venture alone. 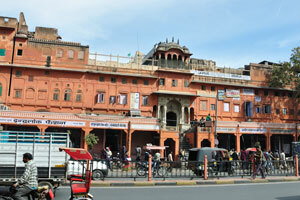 Do keep in mind the fact that there are still a lot of areas that these pictures do not cover and there are many more things to explore, to learn and to do in Jaipur. View from the balcony of our room in the K.K. 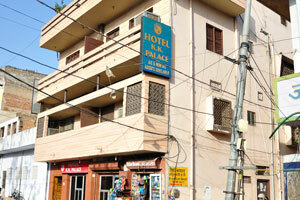 Palace hotel. 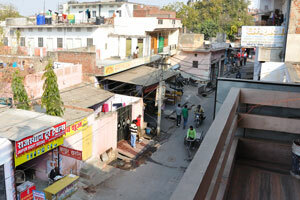 Street view from the second floor of the K.K. Palace hotel. 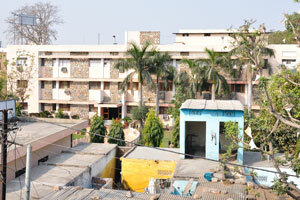 Hotel Swagatam view from the K.K. Palace hotel. 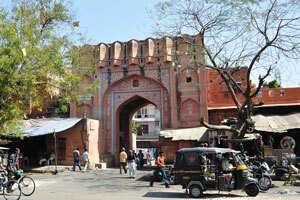 Tripolia Gate: constructed in 1734, this marvelous gate was once the main entrance to the palace. 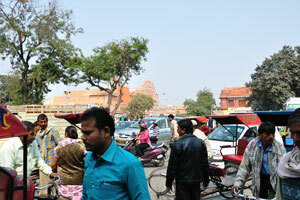 Crossroad near Tripolia Gate is teeming by the vehicles and people. 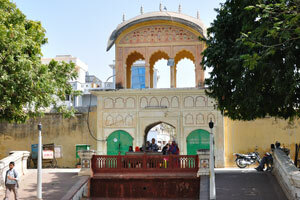 Tripolia Gate is built using both Mughal and Rajasthani architecture. 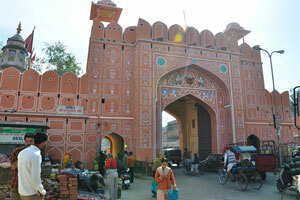 Tripolia Gate is the main entrance to the ancient center of the city. 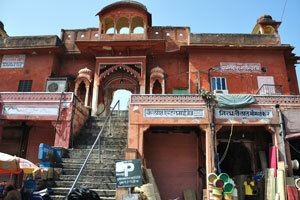 Tripolia bazaar: trading places are numbered from 125 till 132. 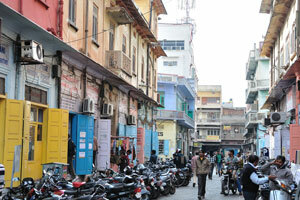 Tripolia bazaar: trading places with numbers 252 and 253. 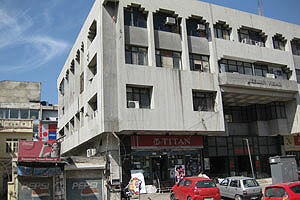 Tripolia bazaar. 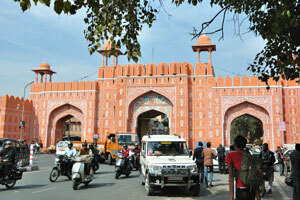 Chandpol Gate - Surajpol Gate. 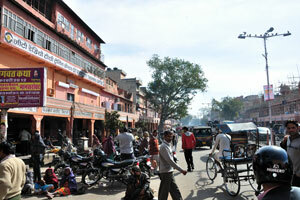 Tripolia bazaar: the road near trading places with numbers 244 and 245. 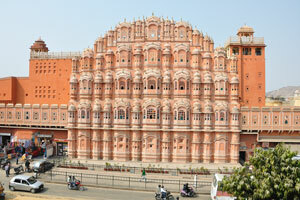 Side view of the Hawa Mahal. Romance of Pink. 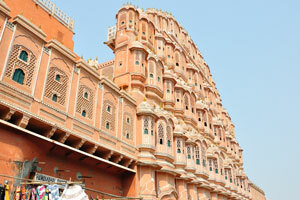 The mountains behind the Hawa Mahal. 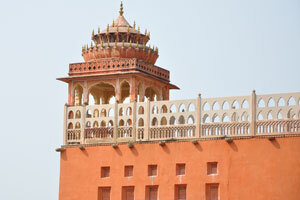 Hawa Mahal view from Badi Chaupad. 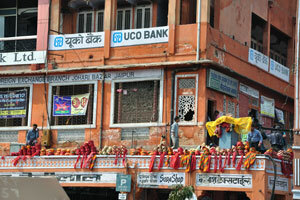 UCO Bank Foreign Exchange Branch at Johari bazar. 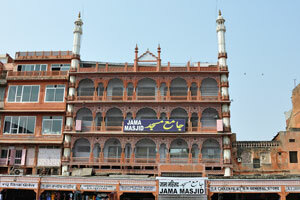 Jamia Mosque (Jama Masjid) at Johari bazar. Service Selection Bureau SSB Coaching at Chaura Rasta. 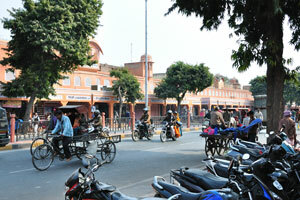 Chaura Rasta, the wide street that lies in front of Tripolia Gate. 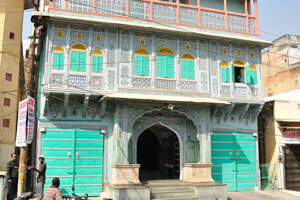 Dwarkadheesh Temple on the Chaura Rasta street. 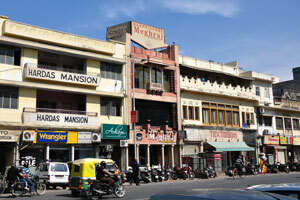 Steam vegetarian restaurant on the Chaura Rasta street. 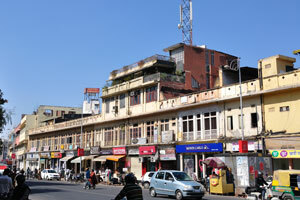 Chaura Rasta street near Tripolia Gate. 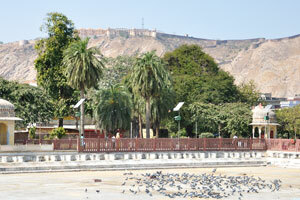 Urban Haat near Jal Mahal. 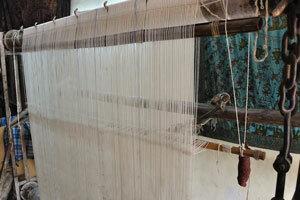 Sewing handicraft with metal embroidery. Embroidery with metallic floss and sewing with metallic thread. Big store selling sewing products. 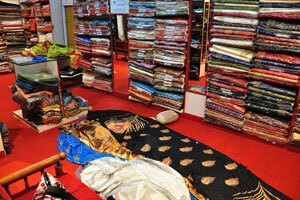 Store employees have lay out sewing products for our choice. 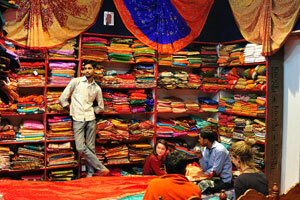 Store employees help us to choose sewing products. 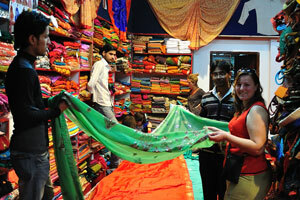 Foreign tourists want to buy some sewing products. There are plenty of sewing products in this shop. 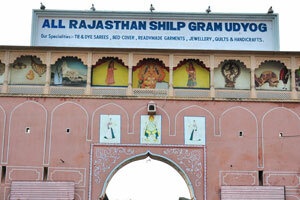 All Rajasthan Shilp Gram Udyog. 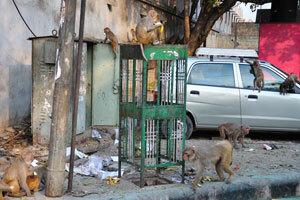 Monkeys hanging around the car. Our room at K.K. Palace Hotel has the big balcony. 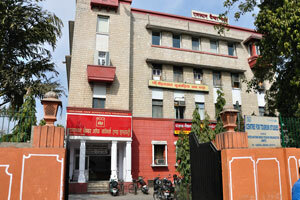 Bank of Baroda, Kishore Niwas, Satguru Arts. Swarga Suli (Isar Lat). 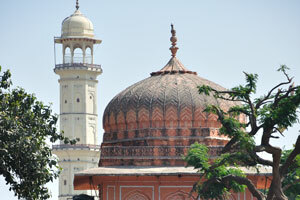 The Maharajas of Jaipur. 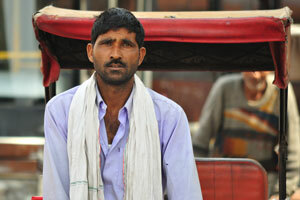 Faces of Jaipur: cycle rickshaw driver. 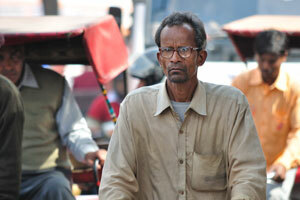 Faces of Jaipur: bicyclist in glasses. 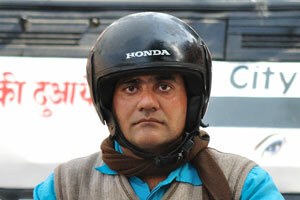 Faces of Jaipur: motorcyclist in helmet. 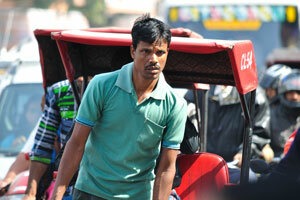 Faces of Jaipur: cycle rickshaw passenger. 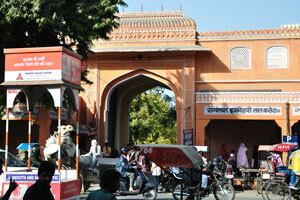 Faces of Jaipur: mother and her child are inside cycle rickshaw. 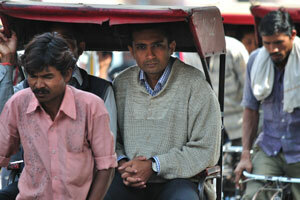 Faces of Jaipur: cycle rickshaw driver with a scarf. 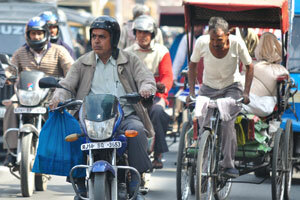 Faces of Jaipur: motorcyclist with a bag. 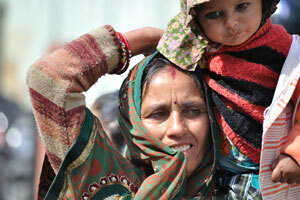 Faces of Jaipur: mother with a child. 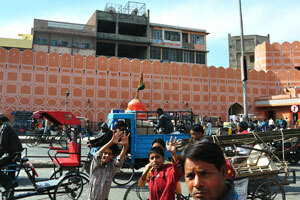 Faces of Jaipur: child with lines around its eyes and tinted eyelashes. 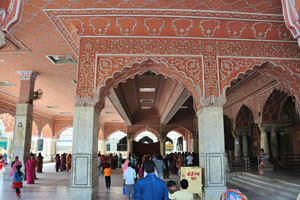 Faces of Jaipur: mother and her child have dressed in the clothes of red tones. 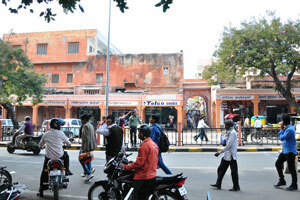 Faces of Jaipur: two girls dressed in niqab hold each other by hand. 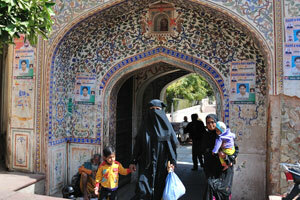 Faces of Jaipur: girls in niqab. 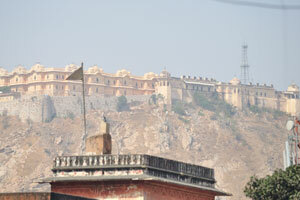 Nahargarh Fort view from Choti Chaupad. 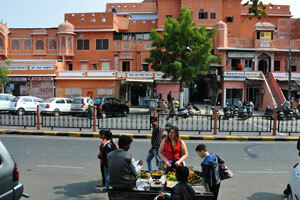 Faces of Jaipur: happy schoolgirls. 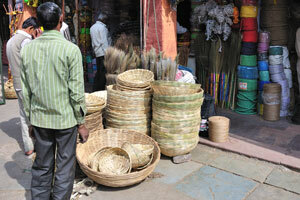 Shop selling ropes on the Kishanpole Bazar. 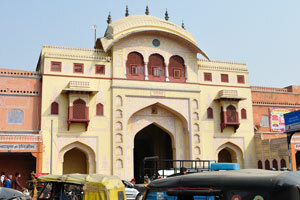 Kishanpole Gate, better known as Ajmeri Gate. 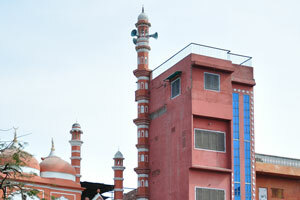 Masjid Sambharian. 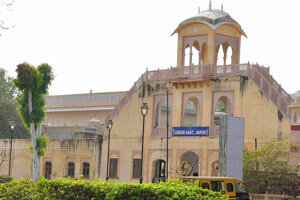 History of Jaipur. 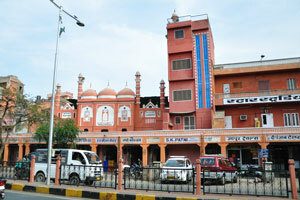 Masjid Sambharian near Kishanpole Gate. 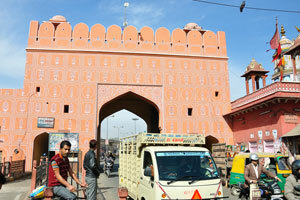 Kishanpole Gate. 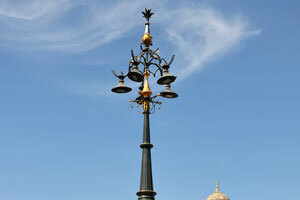 The intricacies of town planning. 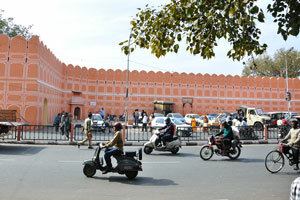 Road south of Kishanpole Gate. 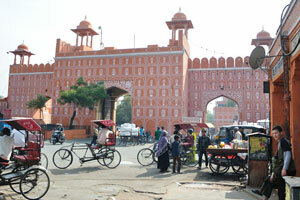 South view of Ajmeri Gate (Kishanpole Gate). 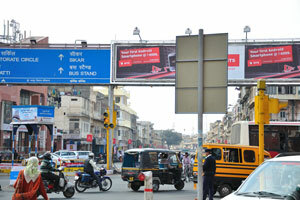 Crossroad with a lot of traffic near Ajmeri Gate. 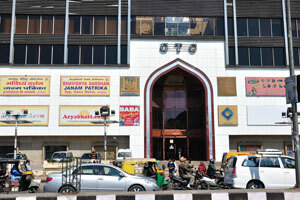 CTC Shopping Mall in M.I. Road. 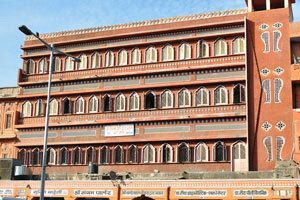 Office of Income Tax Appellate Tribunal - Jaipur Bench. 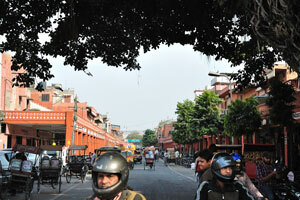 Narrow streets of the old city (Chaura Rasta district). 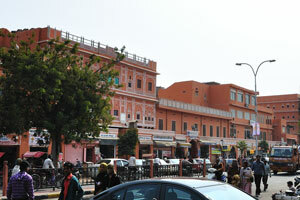 Chaura Rasta street, the direction to the Tripolia Gate. 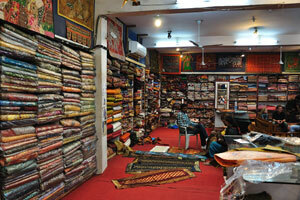 Chaura Rasta street: Kashmiri pashmina shawls, Rajeev enterprises. 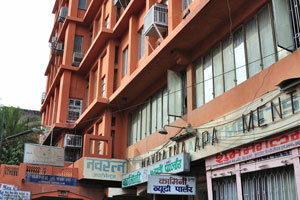 Chaura Rasta street: British medical stores; Kumar opticians. 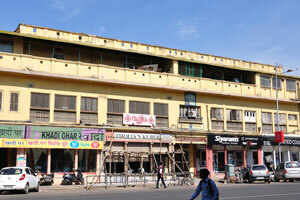 Chaura Rasta street: Navratna Apartments. 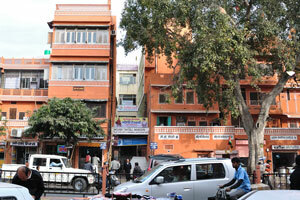 Chaura Rasta street: Ashirvad Credit Cooperative Society Ltd.; Heritage Boutique; Punjab National Bank. 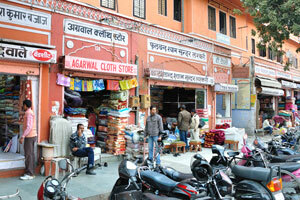 Chaura Rasta street: trade place number 124 - Agarwal Cloth Store. 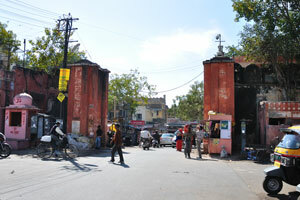 Chaura Rasta street goes to the south from Tripolia Gate. 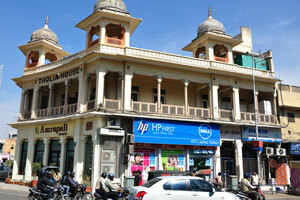 This street has a lot of beautiful buildings. 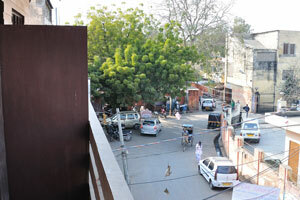 Teenage girls walk on the roof opposite our K.K. Palace hotel balcony. Teenage girl has straightened her hairs. Teenage girls are posing for me. 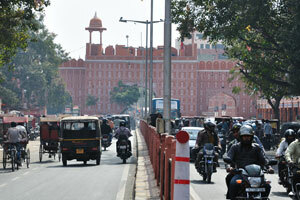 This road traffic is directed to Chandpole Gate. 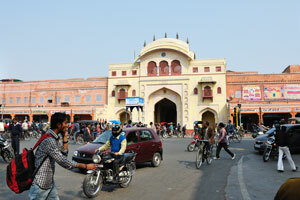 My wife, my son and Indian boys near Chandpole Gate. 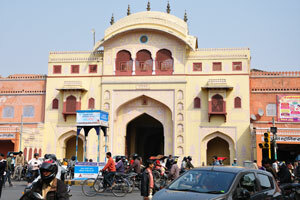 Chandpole Gate view from Chandpole Bazar. 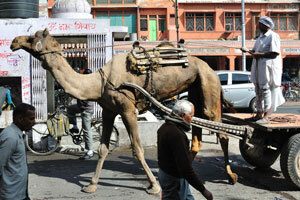 Camel goes along Chandpole Bazar, opposite H.M. Prints. 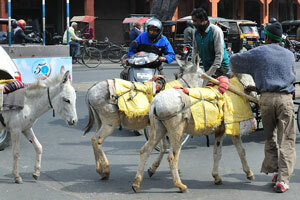 Donkeys go along Chandpole Bazar at the crossroad with Khazane Walon Ka Rasta. 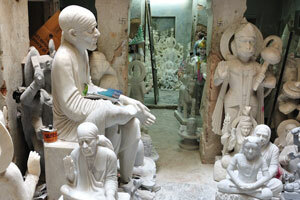 Khazane Walon Ka Rasta: marble statue makers. 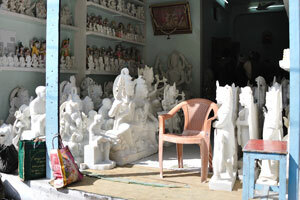 Khazane Walon Ka Rasta: the street has a lot of marble carvers. 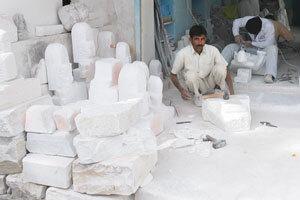 Khazane Walon Ka Rasta: marble carvers at work. Khazane Walon Ka Rasta: marble statues. 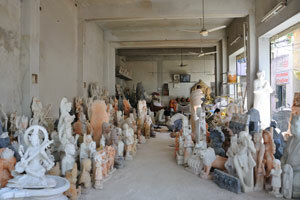 Khazane Walon Ka Rasta: marble statues are in storage. 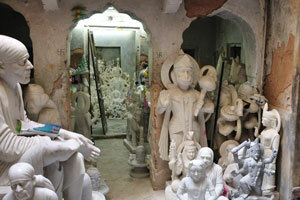 Khazane Walon Ka Rasta: marble statues shop. 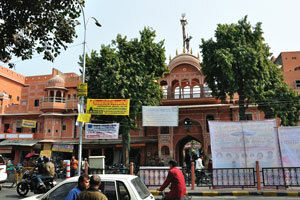 Khazane Walon Ka Rasta: blue, white and apricot colour statues. 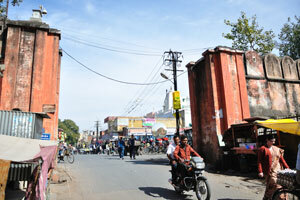 The gate from Khajane Walon Ka Rasta to Indira Bazar Road. 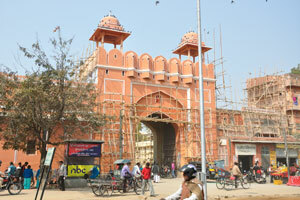 Singh Dwar: the entrance gate to Khajane Walon Ka Rasta from Indira Bazar Road. 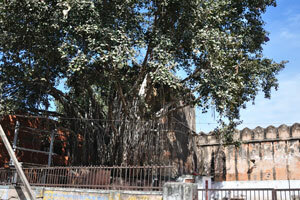 Huge banyan tree on Indira Bazar Road. 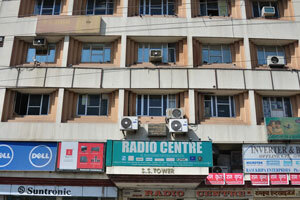 Radio Centre; S.S. Tower; Suntronic; Ram Kripa Enterprises. 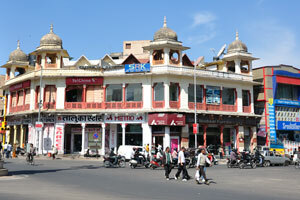 The Urban Co-Operative Bank Ltd. Jaipur. 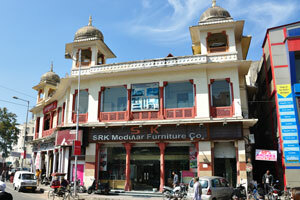 Furniture stores at Panch Batti circle. 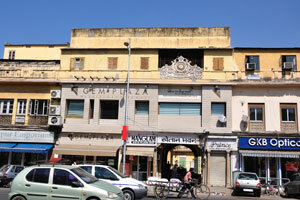 Jindel & Company (Arms ammunition dealers) at Panch Batti Circle. 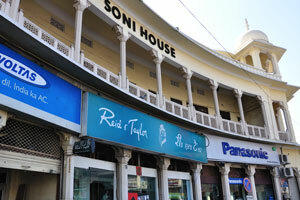 Panch Batti Circle: Soni House; Voltas; Reid & Taylor; Panasonic. 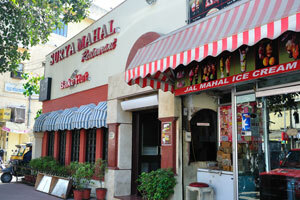 Panch Batti Circle: Tholia House; Amrapali Jewels. M.I. 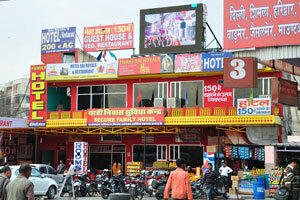 Road: Spectacles from Carl Zeiss; Askay Engineering Co.; Rajastan Scientific Co.
Surya Mahal Restaurant in M.I. Road. M.I. 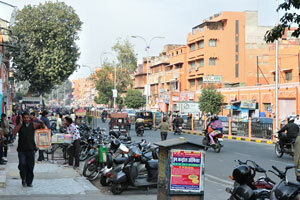 Road: Khadi Ghar; Tholia's Kuber; Siyaram's Fashion Avenue. 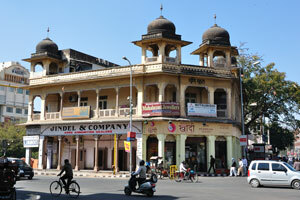 Hotel Rangoli in M.I. Road. 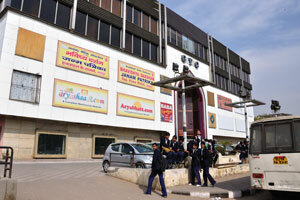 Gem Plaza, Manglam Kurta Pajama Shop and GKB Opticals. M.I. 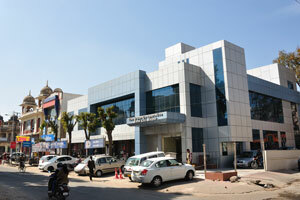 Road: Dugar Building; J.K.J. Jewellers. M.I. 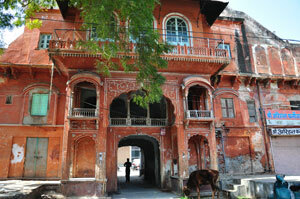 Road: Nandkishore Meghraj; Hardas Mansion. M.I. 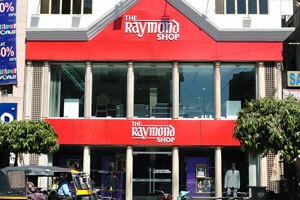 Road: The Raymond Shop. M.I. 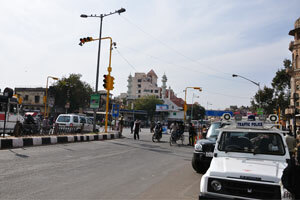 Road near Kishanpole Gate. 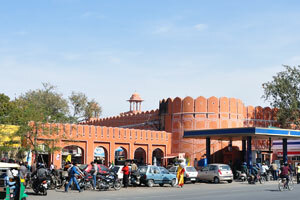 Kishanpole Gate view from M.I. Road. M.I. 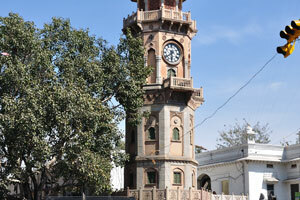 Road: Clock Tower has been coloured in grey colour. 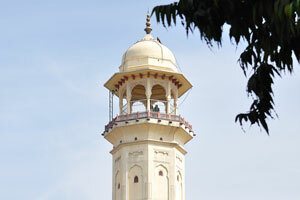 White towers of the mosque on M.I. Road. M.I. 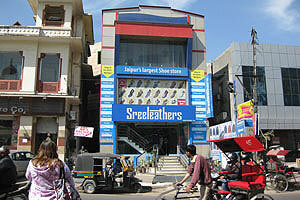 Road: CTC Shopping Center. 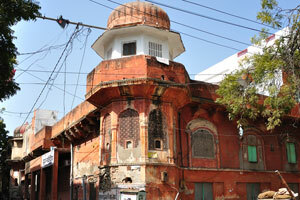 Beautiful building on Chandpole Bazar. 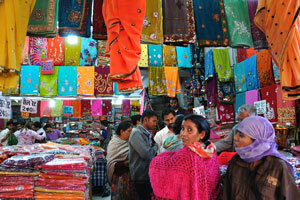 Saree Sale on the Chandpole Bazar (Prices begin from 160 rupees). 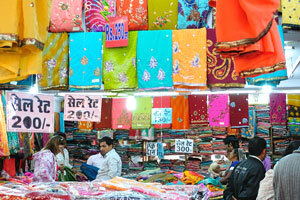 Saree at cheap prices on the Chandpole Bazar. 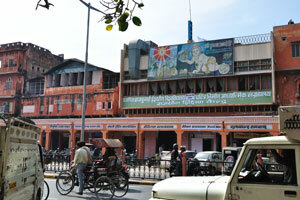 Central bus station in Jaipur. 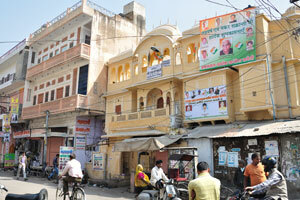 Chowkri Purani Basti Block: three storey building. 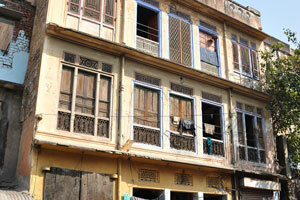 Chowkri Purani Basti Block: three storey living house. 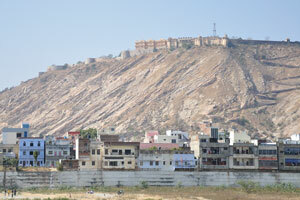 Nahargarh Fort view from Chowkri Purani Basti Block. 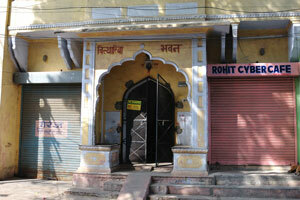 Chowkri Purani Basti Block: Rohit Cyber Cafe. 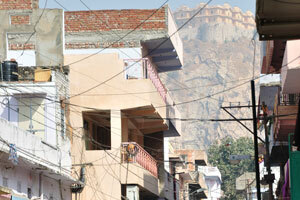 Nahargarh Fort view and the narrow street of the Chowkri Purani Basti Block. 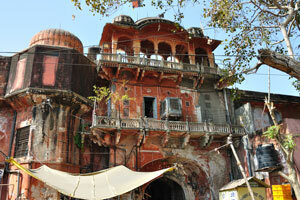 One of the many Chowkri Purani Basti Block old buildings. 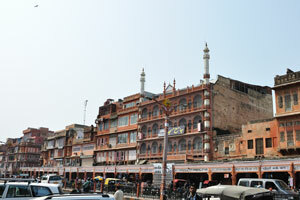 Chowkri Purani Basti Block: Mughal architecture in modern vanilla colour. 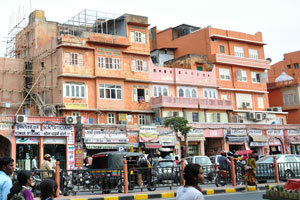 Chowkri Purani Basti Block: unusual bright green colour of the Pink City. 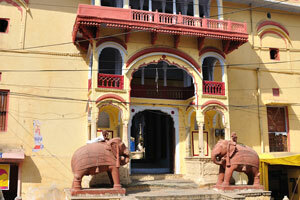 Chowkri Purani Basti Block: elephant sculptures before the entry to the building. 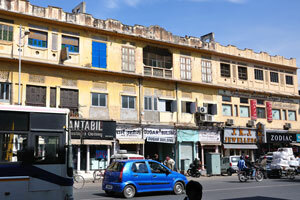 Chowkri Purani Basti Block: the pale yellow colour building with small windows. 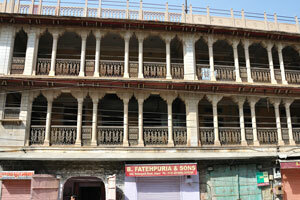 Chowkri Purani Basti Block: B. Fatehpuria & Sons. 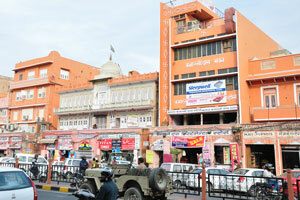 340, Nahargarh Road, Jaipur. Ph. : 0141-2319069, 2318165. 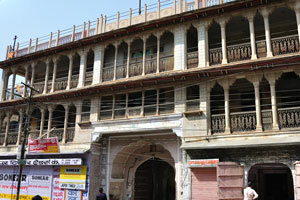 Chowkri Purani Basti Block (Nahargarh Road): building of sophisticated architecture. 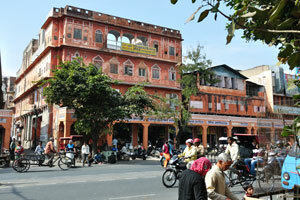 Chowkri Purani Basti Block: Nahargarh Road. 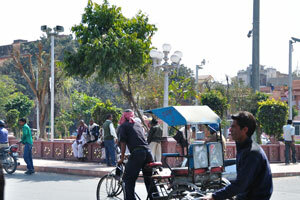 Cycle rickshaw on the street near New Gate. 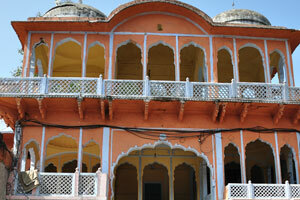 Rajput architecture tower and Isar Lat. 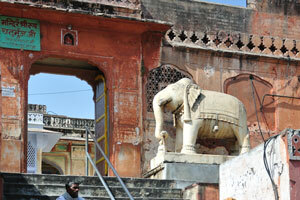 The stair to the temple has been decorated by the elephants. Picasso Arts: miniature paintings on paper and silk. 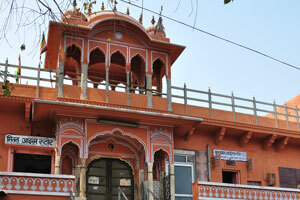 Link Road - Kale Hanumanji temple. 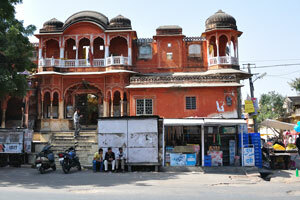 Rajput architecture buildings (Sireh Deorhi Bazar) have been built everywhere in Jaipur. 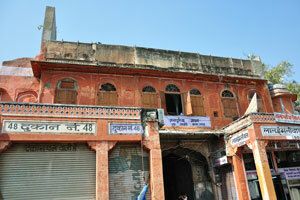 Sireh Deorhi Bazar: trade places with numbers from 48 to 50. 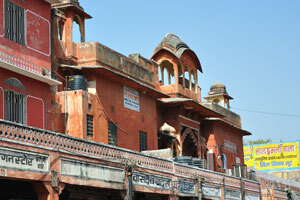 Sireh Deorhi Bazar: Vaibhav Silver Arts. 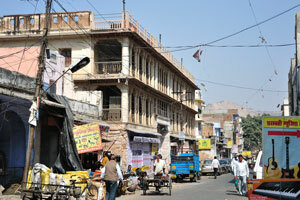 Sireh Deorhi Bazar: narrow lane directs to the City Palace. 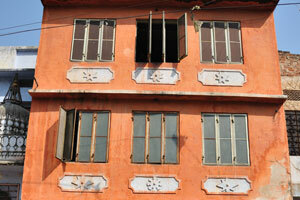 Sireh Deorhi Bazar: the brick colour house with the huge balcony. 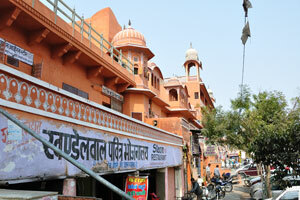 Sireh Deorhi Bazar: Rajput architecture. 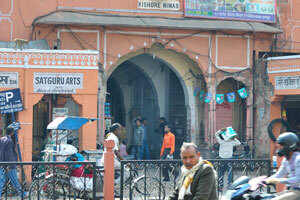 Sireh Deorhi Bazar: ordinary arch. 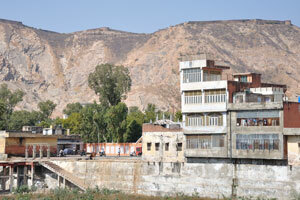 Sireh Deorhi Bazar: brick colour wall and white colour balconies. Sandy field at the southern side of Chaugan Stadium. 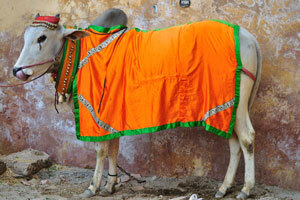 Cows lie near the wall of Chaugan Stadium. 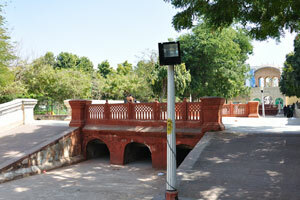 Jai Niwas Garden: the small pedestrian bridge. 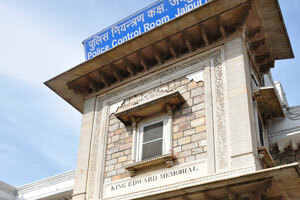 Jai Niwas Garden: the eastern entry to the garden. 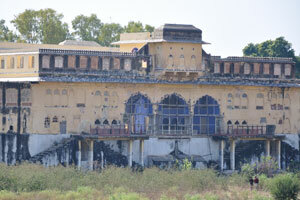 Northern view of Badal Mahal. 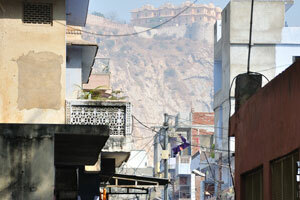 Nahargarh Fort view from Talkatora tank. 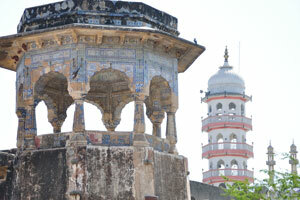 Northern view from Badal Mahal. 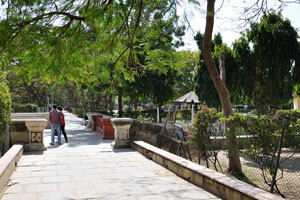 Jai Niwas Garden: this lane leads to Badal Mahal. 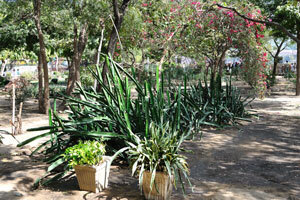 Cacti in Jai Niwas Garden. 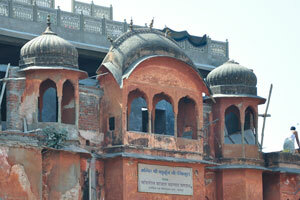 Pigeons in Jai Niwas Garden. 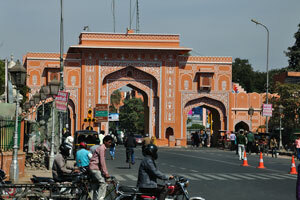 This entrance arch on the Tripolia bazar leads to the Pink city. 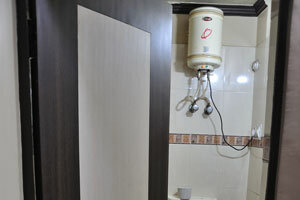 Our shower and toilet room in the Hotel K.K. 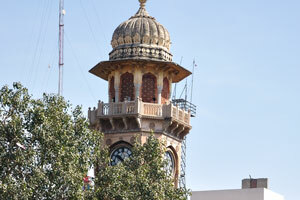 Palace. 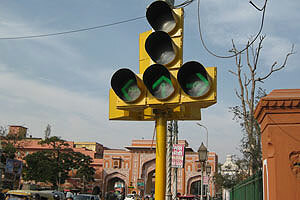 There is the traffic light near New Gate. 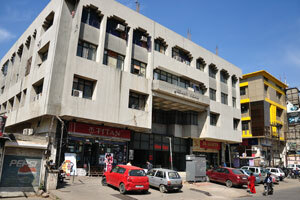 Titan (Neelkanth Watch & Opticals) near Jeewan Vihar.